When you’re designing your ideal retail shop, what do you see? Likely there are shelves or racks against the walls to display your wares, tables scattered through the middle with attractive dressings upon them. It matters not whether you’ve got local wines or responsibly made bathing suits on offer; your shop should be inviting, well-stocked and bustling with customers you love to serve. Of course, there’s one central point in your store: the checkout counter. As your hub of business, it must also be sleek, functional and up to modern standards. That’s where our point of sale hardware comes in, combining ultimate utility with attractive design. Merchant Tree offers you a completely outfitted point of sale system, with plug and play functionality from the moment you remove it from the box. Now you can create simple, streamlined customer experiences, allowing you to engage with your patrons rather than wrestle with the challenges of outdated or poorly manufactured POS systems. Not only does our retail point of sale hardware make it easy to transact with customers and clients at shops, restaurants, clinics and more, it enables nearly limitless integration with value-added apps. With these on board, you can build brand loyalty, create additional opportunities for profit in-person and online, and grow the success of your small business year after year. Many of our customers appreciate an all-in-one POS hardware solution that is ready to go from the moment you open the box. But we understand that your business is as unique as you are, which means a one-size-fits-all hardware solution isn’t necessarily for you. That’s okay. We also offer attractive, individual point of sale hardware components. From mobile payment devices to countertops and pin pads, we offer a complete selection to fit your needs. They operate perfectly on their own, or integrate with your other devices for a streamlined suite of POS solutions. Moreover, our portable solutions solve the unique challenges that come with hotel or restaurant environments, where mobility and durability are at a premium. Whatever you need, all you have to do is let us know. Ready to get the POS hardware you can trust to help you launch or grow your business? 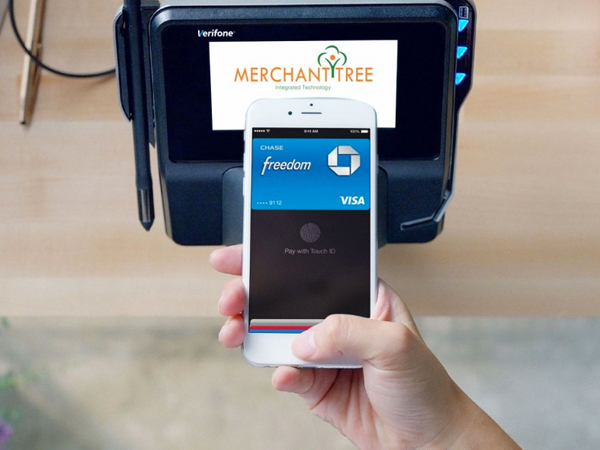 Get in touch with Merchant Tree today to learn more about our completely secure, wireless enabled hardware and our accompanying software solutions. We adapt to fit your business needs, offering both hardware and software solutions, or just hardware to outfit your business and integrate with the software you’re already using. Feel free to contact us online or call at (800) 610-3922 today. We look forward to partnering with you soon and over the life of your increasingly successful business.